Icy and Sot, a band of brothers armed with a talent for graffiti and stencil art, spraypainted themselves from the streets of Tabriz, Iran, right into the country’s underground youth/urban culture. Defying law and censorship, their talent brought the two young artists to Brooklyn. A bold, but necessary move since western art has been forbidden in Iran since the revolution of ’79. 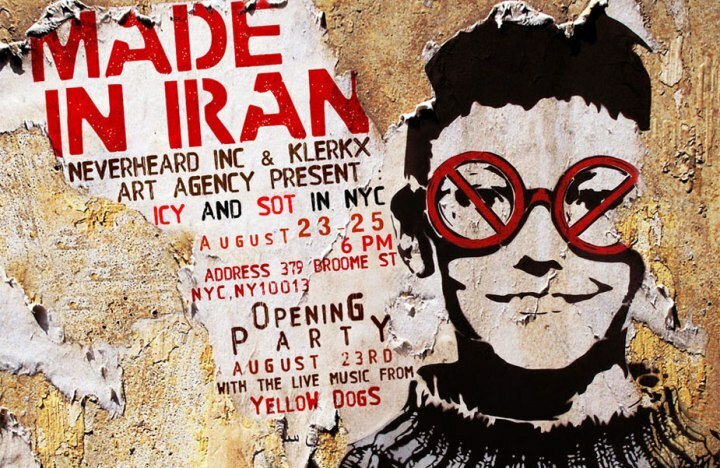 This is also the reason why you won’t find Icy and Sot’s work on the streets of Iran. 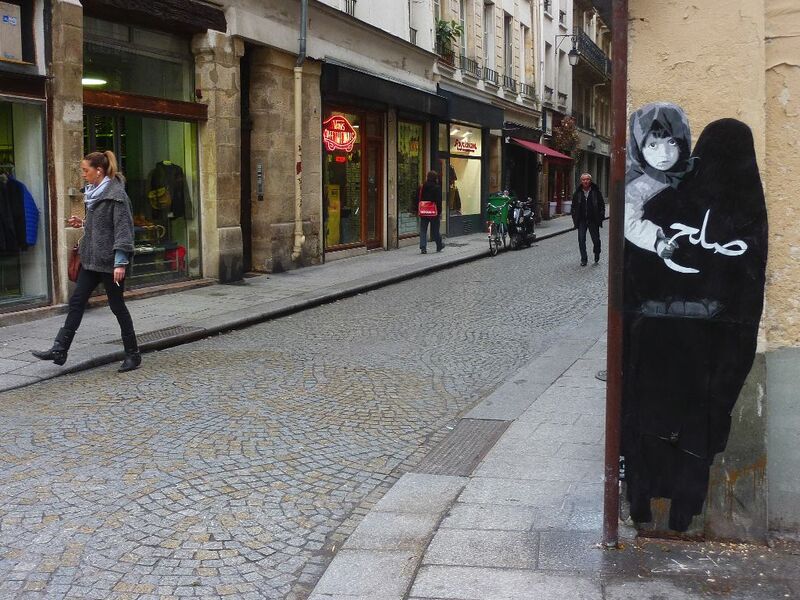 They always had to document their work digitally fast, because graffiti would often be removed after one or two days, making their work ephemeral. At least in Brooklyn they can legally show their art and work in peace, without risking being thrown in jail or getting physique punishment. Nevertheless the underground art scene in Iran flourishes. With talented filmmakers, musicians, writers and other artists finding their voice in the shadows of the law, it seems like the oppression is kindling the artists’ fire. Many of the Iranian creative crowd find themselves in similar positions as Icy & Sot, and decide to make the move to America, who in recent years seem to have been welcoming foreign artists. The brothers also made the leap inspired by a befriended punk rock band named The Yellow Dogs (see insert below), who fled Iran in favour of Brooklyn. The band’s manager, Salehezadeh (an Iranian-American) embraced the two boys upon their arrival and took them under his wings. At the moment they even have an exhibition going in Europe. They are currently showcasing their work in Amsterdam at The ABC “American Book Center” Treehouse [Opening Saturday, September 13th – 16:00 to 21:00]. You can even meet the artists on Saturday 13th and Sunday 14th of September. Find more information on the expo and the boys here. More information on Icy & Sot you can find on their website (be sure to check out their videos ) and don’t forget to follow them on Instagram and Facebook. This entry was tagged Amsterdam, artists, Brooklyn, brothers, censorship, culture, expo, exposition, Icy & Sot, Iran, pop culture, street art, underground, urban, youth culture. Bookmark the permalink.